For his life with mental illness, Angelakos writes, and now lives, an apology. The last thing Michael Angelakos says: “Thanks so much for putting up with me.” It could be the title of a track on Gossamer. 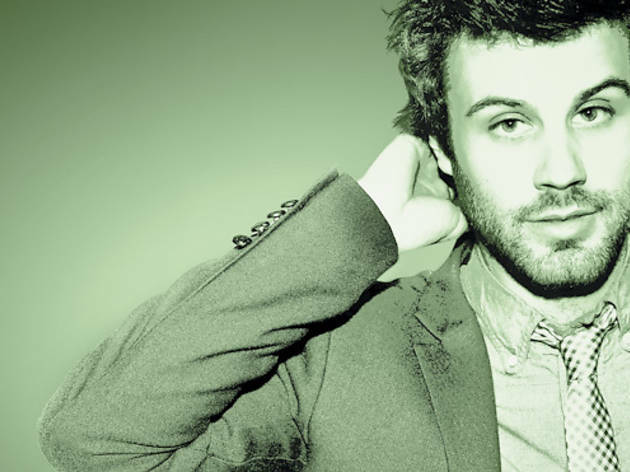 The second studio album he’s released as Passion Pit speaks, in part, to his bipolar disorder and the girlfriend, now wife, who helped him survive it. Angelakos began publicly discussing the illness when the album came out last summer, amid canceled tour dates due to mental-health concerns. The 25-year-old spoke from New York. Your music pairs an upbeat sound with downbeat lyrics. Why does that appeal to you? It’s a very classic combination. Some of the best girl-pop songs of the ’60s were terribly depressing and yet wonderfully sing-along-able. I always emphasize the prettiness of the music, the beauty of it, to be as important as the pain. Like the way I’m doing now? Pretty much exactly the way you’re doing it now. I mean, you’re not wrong. But that wasn’t the intention. But that struggle is inevitably part of your art, right? Any struggle is part of your life. Bipolar disorder is a manageable disorder that does take over your life if you don’t properly treat it, and I have found proper treatment, so I can happily say that I’m still creative and I’m happy. Gossamer was written for your wife, Kristy Mucci. You’ve talked about your relationship with her during your experiences with bipolar as “total warfare” and aggressive but also loving, dedicated. We’re married now, so ultimately we won. Bipolar did not win. What’s interesting is that it’s always the story of the person going through mental illness, as opposed to the person that has to deal with it and keep you afloat when they’ve never had to deal with anything of this magnitude.… She was happy I got through the album alive, and it’s because of her that I did. It’s less an album to her or for her. It’s an album about that person who she is, the unsung hero. Rolling Stone called your single “Take a Walk” the third best song of last year. Yet you’ve said you hate it. I’m not the first person to hate their single. I didn’t even really want it to go on the record. But I found it interesting because it talked about, like, my genetics before going into myself and my life. These are all true stories; this is my grandfather and so on. It was about how they dealt with strife, and obviously the way I’ve dealt with strife was extraordinarily unhealthy, and that’s the point. How have your parents responded to articles where you talk about attempting suicide, being on suicide watch? I don’t really know. I assume that it was alarming to them. But I don’t really go into those types of things with my parents. So you don’t know if they ever read them? I would prefer to not talk about my parents. Did your Greek heritage play a role in your upbringing? I suppose in the sense that no one talked about their problems, that would be very Greek. [Laughs] Greeks don’t talk about emotions a lot unless they’re at a family reunion–type thing. And so, yeah, it’s a bit icy. I imagine you guys talk about these things, or no? Not really, no. [Later, Angelakos says, “I have a brother and a sister. I just do not talk to my sister and haven’t for years.”] My family stuff—you have to understand something. When you go through issues with mental health where they could’ve done something about it, you can imagine that it gets a little awkward. What I set out to do by being open about bipolar is to destigmatize it so families can be supportive earlier on, because the longer you wait, the more likely the things that have happened to me will happen to someone in that scenario. There’s a thread of apology on Gossamer. On “Carried Away”: “I’m sorry about things that I’ve said.” Everything I write is self-deprecating and self-effacing. It’s a terrible feeling knowing that you almost seem sociopathic at certain points ’cause your brain is in this weird, manipulative mode and you’re coming up with a thousand ideas. Or you’re in a mixed state, which is where most people commit suicide because they’re able to physically get up and do something. It feels like possession. And you don’t remember anything that’s happened and you don’t know why you said these hurtful things or went on these crazy outings and didn’t come back for three days and then popped back in like nothing happened. As much as I apologize on the record, the real apology was me getting very, very serious help and treatment. Do you think the next album will go in a less personal direction? The next record will be personal but warmer and about the love of settling down. I would be interested in making an optimistic record. [Laughs] I haven’t written an optimistic song in over ten years. I’m looking forward to writing an album about real love. I’ve been very narcissistic, and I’m getting bored with that. 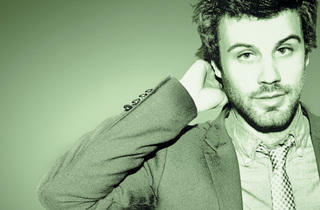 Passion Pit plays the UIC Pavilion February 22.